HRLA is located in North Delhi Delhi . HRLA is registered as a Trust at North Delhi of state Delhi with Ngo unique registration ID 'DL/2012/0049441' . 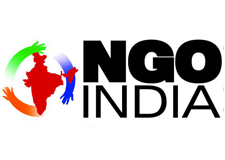 The NGO registration is done by Sub-Registrar with registration number 608 on the date of 15-02-2012, Its parent ORganaisation is PaulFoundation. The Chairman of HRLA is Dwarka Sawale ExTeacher Ex research Assit JNU LLB and Chief functionary officer is Dwarka Sawale. Promoters are Dr B D Sharma Ex National Com of sc st, Dr Sagar JNU and Layrics, Mr Jan Goodwin Secretary YMCA,Mohd Akhtar.